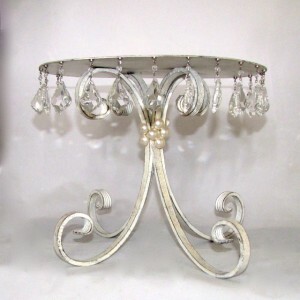 "Alba" is a gorgeous, hand-crafted cake stand that can be used plain, or embellished with sparkling crystals or pearls. This white washed driftwood hurricane lamp would be perfect for your beach wedding décor. 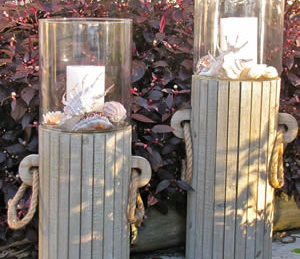 Holds a single pillar candle that may be encircled with flowers, shells, or left natural to suit your event. Why not pair it with our large driftwood hurricane lamp? A discounted price is available when the 2 sizes are hired together.